Area rug cleaning should be done by a trained professional, that's where we come in. We have years of training and professional experience. We deal with all types of rugs, so we can accommodate and tackle any challenge you throw at us. Pre-Inspection: Inspect the rug for loose fringe, color loss, and any pre-existing damage. of dirt and imbedded particles, which is removed during this very important step. Pre-Treatment: When there are heavily soiled, pet spots or dirty fringe areas, we pre-treat these before washing. Wash: Rugs are washed with either a soft bristled brush machine or a hand brush, depending on how delicate the rug is. Rinse: Rugs are thoroughly flushed out, removing all contaminates until the water is running clean and clear. Extract: Water is extracted, the rug is groomed out, and fans are then set up to quickly and efficiently dry the rug. Final Detail: Vacuuming, grooming, and final detailing is done to prepare the rug for delivery and future use. Rug Pad: We offer are rug pads to preserve the floor under your rugs. This is the foundation of any rug and we will cut a rug pad specifically designed to fit under your rug. Rug protector: This is applied to rug and will help protect from those little accidents that happen. If you have protector and you have a pet accident, you have a better chance of using stain removal if treated immediately. Our professional cleaning can address moderate and heavy soil conditions in your area rugs. How often you’ll need professional cleaning depends on soil build-up, traffic, type and color of your area rug. A good rule of thumb would be to professionally clean your area rug every 12 months. The best advice is to clean area rugs before they become totally saturated with soil. Dirt builds up in layers, and when a rug looks dirty, you are only seeing the dirt at the tips of the rug fibers. More dirt is hiding below the surface down near the base of the pile, causing damage to the area rug. When an area rug is saturated with dirt, the soil has penetrated crevices and has become firmly lodged, which we know how to permanently remove with professional, state of the art, removal techniques. Besides adding a bouncy feel, rug padding provides an important function. 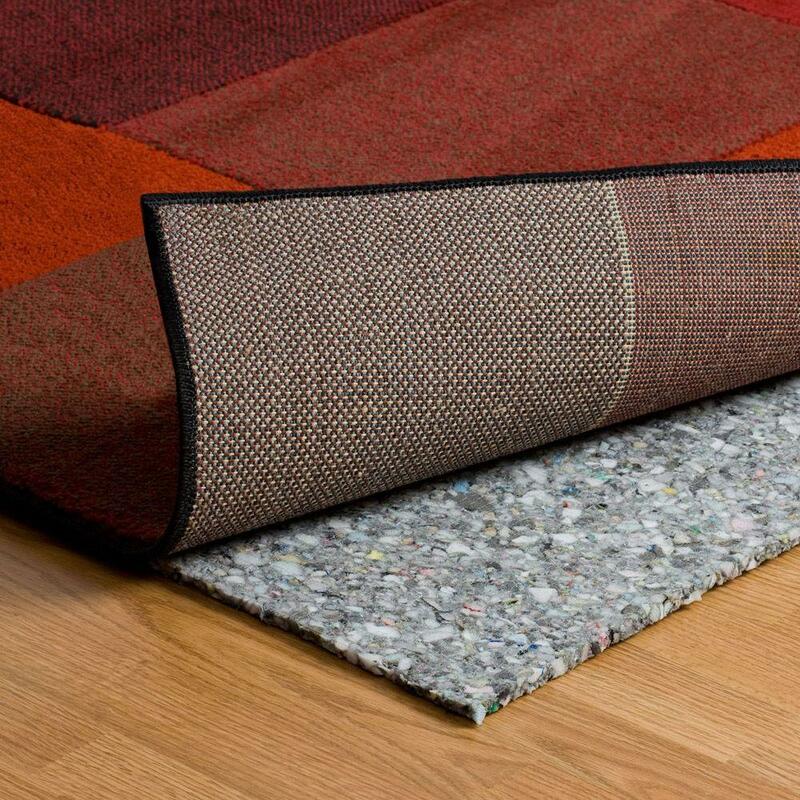 Rug padding absorbs most of the finding action caused by footsteps and works to protect the rug itself from wear and tear. It also helps protect your floors from scratches by partially preventing the heaviest tracked-on grit from filtering through to the floor. Non-slip rubber rug pads also provide the additional function of helping to keep your rugs in place. Sudden shifting of rugs under feet, creates many slip and fall injuries. Rug pads have life expectancy of only 1-3 years if rubberized, and 5-8 years if heat-bonded synthetic, depending on the use, temperature, and relative humidity in your home or business. Rubberized pads begin to break down almost immediately. They become tacky and may eventually stick to your floors, or they dry out and become slick which creates a slippery "skating rink" in your home. Synthetic pads eventually spread and buckle or become "squished thin" in the highest traffic areas. Your rug cleaning professional should be able to recommend the proper rug pads to use under your rugs.